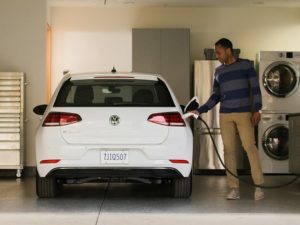 Volkswagen Group subsidiary, Electrify America, is to install 2,800 electric vehicle charging points in 17 of the largest metropolitan areas in the United States during the next 18 months. Electrify America is to install 2,800 charging points by June 2019. Around 75% will be workplace chargers, based on research which shows this increases employee uptake by a factor of six, while the rest will be installed at multi-family properties, such as apartment blocks. In California, the latter will be a joint effort with ongoing projects to install chargers in low-income or disadvantaged communities. Charging points will be supplied by SemaConnect, EV Connect and Greenlots units, and the investment forms part of Electrify America’s $2bn infrastructure funding planned over the next decade. The company was established earlier this year as a subsidiary of the Volkswagen Group of America. Most of the cities in this first wave are in California – Fresno, Los Angeles, Sacramento, San Diego, San Francisco and San Jose – but the network will also include sites in Boston, Chicago, Denver, Houston, Miami, New York City, Philadelphia, Portland, Raleigh, Seattle and Washington, DC.